For any little boy or girl, this is a must!! 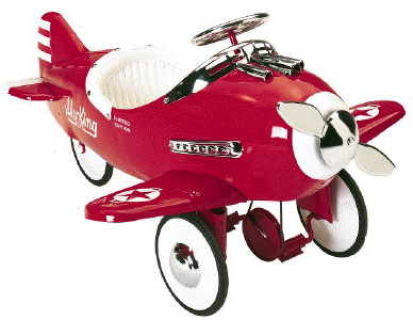 With very high detail and quality, its features include solid rubber tyres for a smooth ride and rotating propeller. When pedalled, the propeller drive band rubs against the chassis, giving a realistic engine noise! !